The Center for Educator Preparation (CEP) at the University of Michigan – Flint did not exist when Deonte Wells obtained his B.A. in English in 2011, but that did not stop his commitment toward receiving his certification in secondary education. As a member of the Smart Teachers as Role Models (STAR) Program, Wells has received ongoing encouragement since graduation, and it is that level of support that generates those milestones of success. Soon after graduation, Wells got married and took on a position with MCC Workforce Development as an English Instructor for Youth Build without teacher certification. In that role, he worked with students on GED preparation. Then, he took a position with Jobs for America’s Graduates (JAG) which exposed high school students to post-secondary opportunities. Therefore, he was providing the educational services, but not formally recognized as a certified teacher of color in the system. The CEP recognizes the disproportionate number of teachers of color to students of color within classrooms throughout public school districts in Michigan as well as the nation, and that underrepresentation is what drives the CEP’s push for a “robust pipeline of support” to better serve students of color who are pursuing careers in the field of education. Currently, Wells works at Academy West in the Westwood Heights School District as an English teacher with a recently obtained Michigan teacher certification. The district is a part of the P-12 advisory board and understands the importance of having men of color in the classroom. Wells has learned from his STAR Program experiences and CEP supports to persevere through all of his educational preparation no matter the length of time. 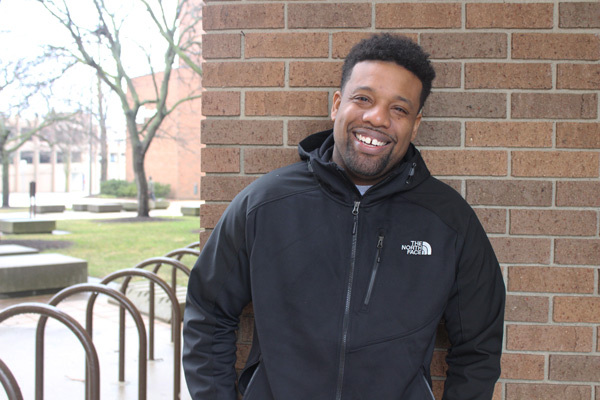 The goal for the CEP is to encourage individuals like Mr. Wells to further their educational leadership in the graduate programs at the University of Michigan – Flint. This entry was posted in News on April 10, 2017 by Melissa Richardson. The School of Education & Human Services is comprised of the Education Department, the Social Work Department, the Early Childhood Development Center, and the Center for Educator Preparation.